Before I begin this little dissertation and get everyone all wound up, let me assure you that I'm qualified to discuss this first-ever public video game. The Odyssey, that Pong-playing father of all home game consoles, was put into production on the day I was born (January 27th, 1972). Video games and I grew up together, and once we discovered each other, neither my life nor any alien world or parallel universe has been the same. 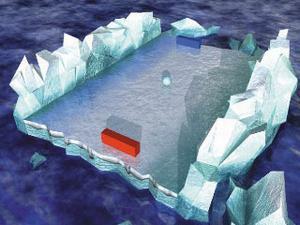 Pong, in any form prior to Breakout, is dull and virtually (pun intended) pointless. 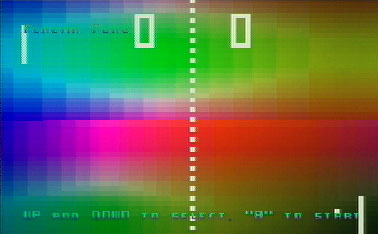 There are two short, thick lines sliding vertically along the screen edges, acting as the players' paddles, and there's a little square being hit back and forth between them which serves as the ball. You miss, the other gets a point. That's it. Now, we all know this. I didn't have to explain the rules. The thing is, die-hard classic gamers often play this game and act as though they ENJOY it. "It's a piece of history," they say. Of COURSE it's a piece of history -- one of the most important in our entire culture, in fact. It's fascinating to imagine people playing with fervor back in the '70s, because it illuminates the fact that everything's relative. Pleasure is based on one's experiences, and improvements in one's modes of entertainment all amount to a simple matter of perspective. But we shouldn't go so far as to try and convince ourselves that Pong's actually FUN. I mean, that's taking it a bit far, don't you think? It's a curio, a museum piece to contemplate (for a few minutes, at least), but nothing more. That's why the appearance of Pong 2000 blew my mind. I said to myself, "WHAT?" (Yup -- I talk to myself in capital letters). I admit I've never played it, but...c'mon. 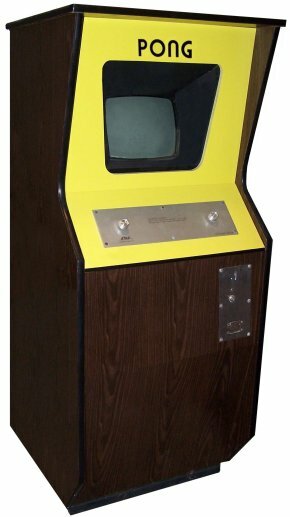 Pong 2000? What did they do, add power-ups so you can slide up and down faster? Did they double the sound effects by adding one more? Wait, wait, I know: They made it into a first-person shooter, gave the player an arsenal of nifty weapons and turned the "ball" into three colored key-cards that the player needs to search for when he's not obliterating demons. Well, cool -- in that case, I'll take one. This review of Pong originally appeared in 2002 on the Atari Times website.